A significant portion of a congressional office’s resources are devoted to performing “casework,” which the Congressional Research Service defines as “the response or services that Members of Congress provide to constituents who request assistance.” While this seems like a noncontroversial definition, it raises two more difficult questions: (1) who are the “constituents” for whom a Member of Congress may perform casework; and (2) when, if ever, is it appropriate for Members to perform casework for non-constituents. The House and Senate answer these questions somewhat differently. See CRS Report for Congress, Casework in a Congressional Office: Background, Rules, Laws, and Resources 3-4 n.13 (Jan. 3, 2017). The House Ethics Manual notes that “[a]s a general matter . . . a Member should not devote official resources to casework for individuals who live outside the district.” This admonition is based partly on the statute authorizing funding of the Members’ Representational Allowance, which provides that the MRA “’is to support the conduct of the official and representational duties of a Member of the House of Representatives with respect to the district from which the Member is elected.’” House Ethics Manual at 310 (quoting 2 U.S.C. §57b, now codified at 2 U.S.C. §5341(a)) (emphasis added by House Manual). The House Manual thus provides both a definition of “constituent” (one residing in the Member’s district) and an admonition against performing casework for non-constituents. See also Dennis F. Thompson, Ethics in Congress 91-92 (1995) (noting that the House Manual’s “sensible discussion” of casework is not explicitly endorsed in House or committee rules). To be sure, the House guidance does not categorically prohibit providing assistance to non-constituents. The House Manual notes that there are circumstances in which it might be appropriate to do so, such as where “working for non-constituents on matters that are similar to those facing constituents may enable the Member better to serve his or her district.” House Ethics Manual at 310. Members may also vary on how they interpret this guidance. For example, the website of Representative Sean Duffy states flatly that “Members of Congress are prevented from assisting constituents residing outside their Congressional District.” Others may take a more nuanced view. Members are advised, however, that there is at least a strong presumption against performing casework for non-constituents. During the course of Senator Robert Menendez’s bribery trial, the prosecution argued that Menendez’s assistance to Dr. Melgen, a personal friend who resided in Florida, was improper or irregular because Melgen was not a constituent of the New Jersey senator. The court directed the parties to brief the meaning of “constituent” for purposes of instructing the jury. Prosecutors filed a brief response stating that “Senator Menendez’s constituents are the New Jerseyans that he was elected to represent in the United States Senate.” Menendez’s lawyers, however, argued that there was not a single definition of “constituent.” They acknowledged “Dr. Melgen was a citizen of Florida, not New Jersey, and [therefore] was not Senator Melendez’s electoral constituent.” (emphasis in original). They contended, however, that Menendez’s “constituents” were not limited to electoral constituents. According to Menendez’s legal team, “no law, custom, or congressional precedent supports the prosecution’s suggestion that a legislator cannot advocate on behalf of someone outside the legislator’s electoral constituency.” Moreover, “as advances in technology, travel, and communication (particularly the Internet) have created greater interconnectedness throughout the citizenry, political constituencies based on ideology, cultural ties, and other criteria—as well as these constituencies’ financial support—have outstripped the geographic boundaries of any given State or District.” Thus, it is increasingly common, they suggest, for legislators to represent “political constituencies” and not merely electoral ones. For purposes of the criminal trial, the defense’s ultimate point was that the meaning of “constituent” only mattered to the extent it was relevant to the senator’s state of mind, and therefore it was a question of fact for the jury to decide whether Menendez believed he was assisting a constituent (as opposed to providing favors in exchange for the personal gifts and campaign contributions he had received from Melgen). Thus, it really did not matter whether Menendez’s understanding of Senate rules on constituent service was accurate so long as it was what he believed. [T]he Committee understands that you are committed to assisting constituents. Indeed, the Committee has long recognized that “[r]esponding to inquiries of petitioners and assisting them before executive or independent government officials and agencies” is an “appropriate exercise of the representational function of each Member of Congress, as well as an important function of congressional oversight.” Your assistance to Dr. Melgen, however, went well beyond Senate norms. You took action, over the course of several years, on behalf of one specific individual who repeatedly gave you many valuable gifts and who was also among your closest friends, which included direct contact with officials at the highest levels of government. Letter of Admonition at 3 (citation omitted). This passage does not make any reference to the fact that Melgen did not reside in New Jersey. Arguably, therefore, it implicitly suggests that the committee accepted Senator Menendez’s theory of “political constituencies,” including the idea that a senator may appropriately choose to provide assistance to out-of-state individuals based on race or ethnicity (even with respect to issues unrelated to either). If this is an accurate interpretation of the Senate Ethics Committee’s position, it suggests that the gulf between House and Senate “norms” on this question has grown even wider. Did Liz MacDonough Change the Process for Making Byrd Rule Determinations? For those who don’t know, Ms. MacDonough is the Senate Parliamentarian, and in that capacity she is responsible for making preliminary rulings on what parts of the Senate health care reform bill comply with the “Byrd rule.” Without getting into the many intricacies of the Byrd rule, the basic point is that those provisions of the legislation which are compliant with that rule can pass the Senate with a simple majority vote under the reconciliation process, while those that are determined to be non-compliant must be stricken unless 60 senators (the same number needed to break a filibuster) vote to waive the Byrd rule point of order. Ms. MacDonough is by all accounts a smart and capable lawyer. Nonetheless, she serves at the pleasure of the Majority Leader, Senator McConnell. A prior Republican Senator Majority Leader fired one of her predecessors for making unwelcome rulings, and some current Republican senators have already called for Ms. MacDonough’s firing. This year, she has departed from longstanding practice by meeting with Republican staff ex parte to discuss parliamentary objections rather than allowing Democratic and Republican staff to argue their points before her in a joint meeting. Therefore, Republicans may know which items she will hold violate the Byrd Rule – and how to modify those items to achieve a favorable ruling – but Democrats do not and may not until the very last moment. I found this charge surprising not only because it doesn’t sound like something MacDonough would do, but because I would think that there would be a much louder outcry if this were happening. (It seems a tad more important, for example, than the fact that there is a dress code for the Speaker’s Lobby). I have no reason to doubt that Super is reporting in good faith what he has been told, but I just came across this article from June 30, which quotes several Democratic and Republican experts on the process MacDonough is following, with no indication of the irregularities Super alleges. According to Bill Dauster, a longtime Democratic staff director for the Senate Budget Committee who just retired in May, the process is as follows: “The Democrats go in, the Republicans go in, then both of them go in together.” MacDonough has not been ruling immediately, but, according to Dauster, “she has, of late, gotten back to people by email” with her preliminary views or rulings. According to the article, this is an improvement over the process often used in the past, when staffers often did not know how the parliamentarian was leaning until the issue was raised on the floor. There is nothing in this article to suggest that MacDonough is changing the process to make it less fair or transparent. Of course, it is possible that the author of the article did not talk to the right people. But it is also possible that Super’s (unnamed) sources were wrong, or had an agenda. Or perhaps they were upset that they had not yet received a ruling from the parliamentarian’s office, but later got one by email. (It seems that one major ruling has just come out in the last few days). So I remain skeptical of this allegation. But if more emerges, I will update the post. Erick Erickson argues here that Senate Republicans would be making a “foolish mistake” if they vote to scrap the filibuster “in its entirety.” He makes a distinction among three different filibusters: (1) the filibuster for executive appointments excluding Supreme Court justices; (2) the filibuster for Supreme Court justices; and (3) the filibuster for legislation. Erickson accepts, without necessarily approving, that the two nomination filibusters have been or will be eliminated through use of the so-called “nuclear option,” but he contends that the legislative filibuster should be preserved as an essential tool to fight for limited government. We will not address here the policy question of whether the preservation of the filibuster, in whole or in part, is a good idea. Instead, I want to discuss the filibuster’s current status under the law of the Senate and the implications of the nuclear option for the Senate and the rule of law. “Is it the sense of the Senate that the debate shall be brought to a close?” And if that question shall be decided in the affirmative by three-fifths of the Senators duly chosen and sworn — except on a measure or motion to amend the Senate rules, in which case the necessary affirmative vote shall be two-thirds of the Senators present and voting — then said measure, motion, or other matter pending before the Senate, or the unfinished business, shall be the unfinished business to the exclusion of all other business until disposed of. Note that this rule does not provide for three different filibusters. It applies to ending debate on “any measure, motion, other matter pending before the Senate, or the unfinished business,” and it makes no distinction between matters related to nominations and those related to legislation, much less among different kinds of nominations. The only distinction it makes is between a measure or motion to amend the Senate rules and all other matters, with the former requiring a larger supermajority (two-thirds of senators present and voting) to bring debate to a close. In response to unprecedented Republican obstruction, Democrats changed the Senate rules in 2013 to allow qualified nominees to be confirmed by a simple majority vote, instead of 60 votes. This change alleviated judicial emergencies across the country by allowing a flood of qualified nominees to be confirmed. (We stopped short of changing the threshold for Supreme Court nominees—maybe that was a mistake). Similarly, in October 2016, Reid was quoted as saying: “I really do believe that I have set the Senate so when I leave, we’re going to be able to get judges done with a majority. It takes only a simple majority anymore. And, it’s clear to me that if the Republicans try to filibuster another circuit court judge, but especially a Supreme Court justice, I’ve told ’em how and I’ve done it, not just talking about it. I did it in changing the rules of the Senate. It’ll have to be done again.” (emphasis added). SCOTUSblog has filed this letter with the Standing Committee of Correspondents regarding the Standing Committee’s decision not to renew Lyle Denniston’s membership in the congressional Press Galleries. Although the Standing Committee only determines whether an applicant may be admitted to the House and Senate Press Galleries, such admission is apparently required before Denniston can obtain a Supreme Court credential, which is his main objective. For a thorough and interesting discussion of the background of this matter, see this article, which asks “Why Can’t SCOTUSblog Get a Credential?,” by Jonathan Peters in the Columbia Journalism Review. To answer this question, we need to take a closer look at the rules governing the press galleries, such as they are. As Peters notes, there are actually four types of press galleries: (1) the Press Galleries (which we will refer to as the “Daily Press Galleries” for clarity’s sake); (2) the Periodical Press Galleries; (3) the Radio and Television Correspondents’ Galleries; and (4) the Press Photographers’ Gallery. The photographers’ gallery is different than the others because it is a single gallery, authorized only by the Senate Committee on Rules and Administration (hereinafter “the Senate Rules Committee”), with no counterpart in the House. Denniston is applying for admission to the Daily Press Galleries, which are set aside for newspapers and other news organizations that publish daily. The Daily Press Galleries consist of a House Gallery and a Senate Gallery. Each is separately authorized under House and Senate Rules and each has a separate staff. However, they are jointly administered by the Standing Committee, and there is a single set of rules and a single admissions process for both galleries. The Standing Committee’s authority comes from the House and Senate Rules, and it is ultimately subject to the direction and control of the Speaker, with regard to the House Gallery, and the Senate Rules Committee, with regard to the Senate Gallery. 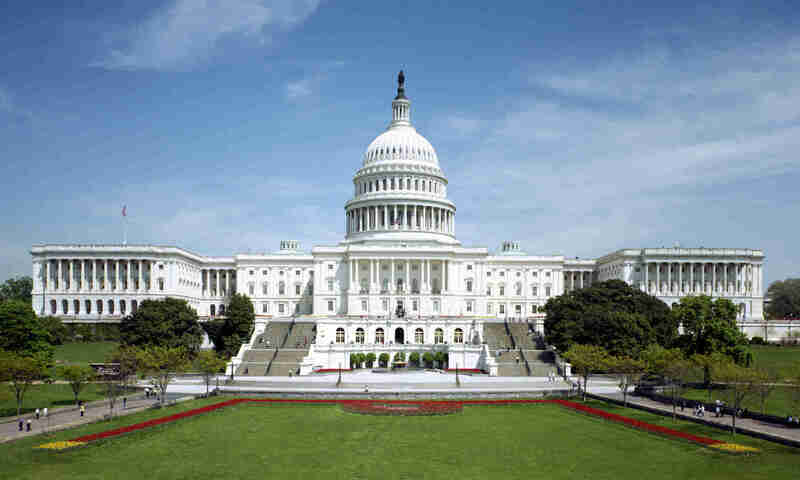 The Periodical Press Galleries and the Radio and Television Correspondents’ Galleries also consist of separate House and Senate Galleries, but, like the Daily Press Galleries, each has a single administrative body, a single set of rules and a single admissions process. The Periodical Press Galleries, for example, admit journalists employed by “periodicals that regularly publish a substantial volume of news material of either general, economic, industrial, technical, cultural, or trade character.” They are governed by the Periodical Press Gallery Rules and overseen by the Executive Committee of the Periodical Correspondents’ Association. Why is it necessary to have four different types of press galleries, including a separate administrative body and rules for daily versus periodical reporters? Maybe there is a good reason, but I suspect the answer is the same one that explains why there is still a National Information Technology Service. In any event, that is the overview of the congressional press galleries: seven galleries, seven sets of staff, four administrative bodies, four sets of rules, and two political overseers. All to govern a population the size of a large public high school. Welcome to Washington. Now let’s examine the rules that govern Denniston’s application. That opportunity to appeal [from the ruling of the presiding officer] constituted the so-called “nuclear option” the Senate invoked to modify the cloture rule as applied to executive branch and lower federal court nominees. On November 21, 2013, the Senate considered, and defeated, a cloture motion on a nomination to a judgeship on this court. Senator Reid, the majority leader, then raised a point of order to the Chair, positing that a cloture vote for such nominations required only a majority. The Chair rejected the point of order under Rule XXII. Senator Reid then appealed the ruling to the full Senate, and, by a 52-48 vote, the Chair’s ruling was overturned. Thus was set new Senate precedent interpreting Rule XXII in the context of executive and lower federal court nominations. (citations omitted). This discussion is no doubt dicta, but it provides at least some explanation of what the Senate did, which is more than it appears we will be getting from the Senate itself. The explanation is somewhat self-contradictory, in it describes the Senate as having both “modif[ied]” Rule XXII and issued a new precedent “interpreting” the rule. Literally, of course, the Senate did not modify Rule XXII, which reads today exactly as it did prior to November 21. We therefore can assume that the D.C. Circuit meant that the Senate “modified” the rule by “interpreting” it to mean something other than what it had “interpreted” it to mean before. The practice of abruptly changing the interpretation of a rule without explanation ought to be troubling enough. But in the case of Rule XXII, the imagination staggers as to what explanation could be given. Did the Senate “interpret” the phrase “three-fifths of the Senators duly chosen and sworn” in Rule XXII to mean a bare majority? Or did it “interpret” Rule XXII to be simply inapplicable to cloture motions for executive and lower court judicial nominations, although there is nothing in the text of the rule or any other source of legal meaning (such as legislative history) to support such an interpretation? The only possible coherent explanation for the Senate’s action, other than lawlessness, would be that the Senate viewed Rule XXII as unconstitutional. But while the Senate conceivably could have viewed Rule XXII as unconstitutional in its entirety, or as to nominations alone, there is no plausible way it could have viewed the rule as unconstitutional as to executive and lower court nominations, but not as to Supreme Court nominations. Perhaps it was for this reason the D.C. Circuit did not suggest that the Senate’s action stemmed from a constitutional judgment. Not surprisingly, the D.C. Circuit has affirmed the district court’s dismissal of Common Cause’s challenge to the constitutionality of the filibuster. Like the court below, the appellate panel found the plaintiffs lacked standing to sue, but its rationale was somewhat different. The district court’s decision was rooted in the absence of a cognizable injury and the court’s lack of power to remedy the harm allegedly caused by the filibuster rules (namely Congress’s failure to enact two pieces of legislation, the Dream Act and the Disclose Act, that would have benefitted the plaintiffs). It also concluded that the suit was barred by the political question doctrine. The D.C. Circuit, on the other hand, “focus[ed] on whom Common Cause chose to sue—or, more to the point, not to sue.” The Senate, of course, is responsible for enacting and enforcing its own rules, yet Common Cause did not name the Senate or any senator as a defendant. Instead, it sued the Vice President and three Senate officers. This was a transparent ploy to circumvent the Speech or Debate Clause, which would certainly have required the dismissal of any suit against the Senate or particular senators. As the court points out, what defeated the Dream and Disclose Acts was “legislative action, activity typically considered at the heart of the Speech or Debate Clause.” There was, however, no need to decide whether the Clause barred suit against the Vice President and Senate officers because these were simply the wrong defendants. The court was unimpressed by Common Cause’s reliance on Powell v. McCormack, 395 U.S. 486 (1969), in which a member of the House was able to challenge his expulsion by suing the Sergeant at Arms to recover back salary. As we have discussed before, the Sergeant at Arms was responsible for paying Powell’s salary and thus could be said to have caused this very specific injury to the plaintiff. But nothing in the Supreme Court’s decision suggests that congressional officers can be used generally as stand-ins whenever someone wants to challenge an allegedly illegal House or Senate action. In contrast to the situation in Powell, the court notes “Common Cause does not identify anything the defendants did (or refrained from doing) to cause its alleged injuries.” The only remotely plausible link is the Vice President’s role as presiding officer of the Senate, but any ruling by the presiding officer is subject to appeal to the full chamber. Thus, even if the Vice President had been presiding at the time of the votes Common Cause complains of (which he was not), and even if he had ruled on a relevant issue (which he did not), it would still be the Senate, not the Vice President, that caused the alleged injury. Accordingly, Common Cause’s failure to sue the Senate or any senator leaves it “Hoist with [its] own petar,” as the court puts it, quoting Hamlet (act 3, scene 4, if you were wondering). To appeal or not to appeal, that is the question. Perhaps Common Cause’s quixotic quest (to mix metaphors) will yet have a third act. Or perhaps it will decide it is nobler in the mind to suffer the slings and arrows of outrageous fortune. Only time will tell. The Senate is set to vote on cloture for the debt ceiling bill that passed the House on Monday. If the cloture vote should fail (i.e., if there are not 60 votes to end debate and advance the measure to final passage), we will have an interesting illustration of the paradox of the post-nuclear Senate. As Professor Seth Barrett Tillman has observed, since the Senate Majority Leader has already asserted the power to change/suspend/reinterpret(depending on how you want to look at it) the Senate rules by simple majority vote, it is not clear in what sense the minority still has the power to prevent the bill from passing. It has the power only so long as the majority allows it to do so, which seems a lot like not having the power at all. For ordinary legislation, one might argue that the filibuster rule, while not truly binding on the majority (or not recognized by the majority as binding, anyway), reflects a Senate norm that significant legislation should not be passed with narrow majorities. But the President and his congressional allies have advanced a theory that the debt limit is different than ordinary legislative matters. Raising the debt ceiling, it is claimed, is a technical necessity to prevent default on existing debt and potentially catastrophic economic consequences. For that reason the President has declared the debt limit exempt from the normal give and take of the legislative process and has decreed that he will only accept a “clean” debt limit bill. The House leadership bowed to the President’s unwillingness to negotiate and allowed a clean debt limit measure to come before the House. The vast majority of Republicans voted against the bill, but there were enough Republicans voting for it, including the Speaker and House Majority Leader, to allow the bill to pass. The argument will be made that Senate Republicans, even though they may prefer to vote against the debt limit bill for symbolic/political/ideological reasons (as Senator Obama did a number of years ago), have an obligation to produce enough votes to allow cloture to be invoked. But this argument loses much of its force in a post-nuclear Senate. If the Senate majority believes that the debt limit is so important, how could it justify not invoking the nuclear option to move the bill to final passage? Clearly there is no legal argument against doing so other than those which would have been equally applicable to the majority’s previous invocation of the nuclear option. The Senate’s use of the nuclear option pins any defects in the Affordable Care Act (“ACA”) on the Democrats. Until the nuclear option was used, Democrats said that they had to pass an arguably defective bill because they could not get around a minority Republican-led filibuster in the Senate. In other words, although the Senate was able to invoke cloture and pass the ACA when it had Senator Ted Kennedy’s vote, once he died and was replaced by Senator Scott Brown, the Democratic majority in the Senate was unable to pass an alternative bill or substantively amend the ACA. But the use of the nuclear option undercuts that narrative. We now know that the Democratic majority always had the ability to change the rules and to end debate on any amendment or amendments to the ACA. The Senate Democratic majority always had the power to terminate debate—it is just that the Senate Democratic majority refused to exercise that power. If Obamacare is defective, it is not because the Republicans filibustered or threatened to filibuster any amendments, but because the Senate Democratic majority refused to terminate debate using a power which was always within their reach. It follows that political responsibility for any virtues or defects in the ACA rests entirely with the Democrats who passed it. The heckler meant that Obama had the power, as a factual matter, to sign an order halting all deportations, which is certainly true. It is also (virtually) certain that such an order would have the effect, at least in the short term, of stopping deportations and quite likely true that it would prevent any further deportations for the remainder of Obama’s term. What Obama meant is that although he has the factual power to take this step, he lacks the legal authority to do so. More precisely, Obama believes, or says he believes, that he lacks the legal authority to stop all deportations. On the other hand, Obama believes, or says he believes, that he has the authority to halt certain categories of deportations, and one can see how the heckler might not appreciate the difference. Which brings us back to the Senate. One might infer from its action last week that a majority of the Senate believes it has the lawful authority to override a filibuster by a simple majority vote, although I cannot identify any coherent legal theory that would support the precise action it took (overriding the filibuster as to non-Supreme Court nominations only). There is a coherent legal theory, advanced by Republicans in 2005, to the effect that the filibuster is unconstitutional as to nominations only (not as to legislation), but it does not appear that the Senate is relying on that theory to support its action. Leaving that aside, one can say with confidence that if the Senate acted lawfully last week, it could have lawfully overridden the filibuster against the Affordable Care Act in 2010. But it remains possible that a majority of the Senate did not believe in 2010 that it had this authority, and that a majority of the Senate does believe that (due to changes in seats or changes in attitude) today. Did the Senate Flub Its Cinderella Moment? In this post, I will consider the so-called “nuclear option,” its legality or legitimacy under the law of the Senate, and how a “constitutionally conscientious Senator” should vote with respect to its exercise. The “nuclear option” (also sometimes called the “constitutional option”) may be defined as the use of a parliamentary ruling to declare the Senate rules unconstitutional insofar as they require a supermajority to end debate on a proposed change to the rules. If such a ruling were upheld by a simple majority, it would no longer be possible for a minority of senators to block rules changes (depending on the scope of the ruling, either at the beginning of a Congress or at any time). This would effectively end the (allegedly) unconstitutional entrenchment of the Senate rules claimed by the signatories to the December 12 legal scholar letter. As explained below, I believe that the “nuclear option” is most reasonably understood as illegal under the existing law of the Senate, in the sense that its use would require overruling a substantial body of Senate precedent. Furthermore, it is believed by most senators, including some that would be willing to invoke the nuclear option if need be, that its use would entail, at the very least, substantial institutional costs in terms of the stability and perceived legitimacy of the Senate’s legal system. At the most, the nuclear option would effectively destroy the Senate’s existing legal system and require the creation of a new system of rules and precedents more or less resembling the House’s majoritarian procedures. The Senate has previously declined to exercise the nuclear option on a number of occasions, including in 2005 when the Republican majority considered using it to abolish the filibuster with respect to judicial nominations and, most recently, on January 24, 2013, when the Democratic majority considered using it to enact major reforms to the filibuster generally. The evidence from these episodes indicates that many senators, including the “swing senators” (majority senators who refused or were reluctant to support the use of the nuclear option), were concerned about both the legitimacy of the nuclear option under the law of the Senate and the practical effects that it would have on the Senate as an institution. Rather than trying to convince senators that they misunderstand the Senate’s own traditions and precedents, or that they overstate the likely institutional consequences of the nuclear option, it seems to me that the scholars and academics who have opined on these issues would provide a more useful service to the Senate by proposing constitutional solutions that can reasonably be achieved under the Senate’s existing rules. At the conclusion of this post, I suggest one possible solution.